You want topographical maps and offline GPS navigation when you’re hiking into the wilderness? Then Google Maps probably isn’t going to cut it. To be honest, neither is your smartphone. Always carry a map and compass and leave electronic devices as a backup only. Smartphone Trail Navigation is very common as a hiking tool. Unfortunately, some people think they are magical devices that keep people from getting lost – Nope! They are useful tools but should never be relied on. Continued use of GPS running in the background can dramatically decrease battery life. If they run out of batteries, get wet, or break, then it is a good idea to have a compass and a map as a back-up. For all hikes I undertake I actually use my smart phone and hand held GPS as a quick update on my current trail position but I always plan my hikes using a scaled topographical map and I always carry a map and compass in my pack. Most important tip is to select an app with off-line map mode to ensure that you are never left stranded without mobile coverage and it will save your battery life too. Here are a handful of the apps I have used, in no particular order of recommendation. I use this app on all my hikes as I find the trail information to be extremely accurate. The ability to download topo maps of large areas for off-line use ensures that you are better prepared. I purchased the full upgrade which cost an additional $7.99 for worldwide topo maps. So now I can take it anywhere with the knowledge I will have detailed maps with me.You are able to easily pinpoint your location when on the trail and the blue arrow, that indicates your position, will also indicate the direction you are facing. This is great at trail junctions if for some reason you have become disorientated. Pocket Earth app works completely offline with GPS. This app offers detailed and interactive worldwide maps with more than 100,000 places. You can personalize the maps to show the info you want, save your multi-stop itineraries for offline navigation. An in-app purchase option offers topographic maps. Get high performance, high accuracy 10m / 50ft contour display world-wide (60N to 60S). The ONLY offline app that lets you download large areas, even entire countries! Contours are displayed on our existing maps for all Activities. Hiking and Cycling maps! Great for geocaching and getting off the track! GPS track recording lets you see what route you took! 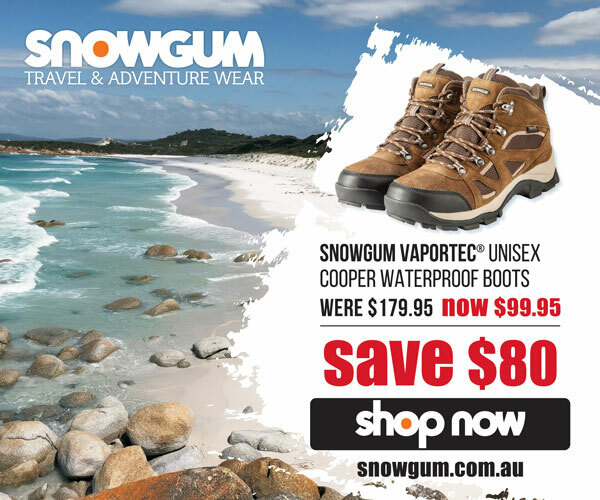 Great for hikes, cycling and off road! Never get lost again! Import/Export support for GPX and CSV files! Share with friends using PE Archives. Displays and lets you search for map coordinates (including DD, DDM, DMS, MGRS, UTM/UPS, GeoHash, and what3words)! Numerous GPS settings for your preferred configuration including compass and heading arrow or rotation, look ahead mode, accuracy and recording settings. Free for the 1:250,000 maps but you will pay for detailed topo maps. This was the first off-line topo app I ever used. The main reason I purchased is that it comes with a desktop package that allows you to create routes and edit tracks. GPX files can then be imported into the app for use on the trail. As I hike predominantly in Victoria I paid the $99.99 (then in AUD) for the Vic Topo map set. The downside to this is that when I travel outside of the state I am limited to 1:250,000 scale and only in Australia and New Zealand. To purchase maps for other states and NZ then costs additional so it could prove to be quite an expensive solution. Memory-Map navigation software is easy to use on a PC or Smartphone. It helps you plan your routes and print maps or charts. With a GPS connected it will show your position on a full colour detailed map and help you navigate your way. When you return home, the Performance Plan routes, Print maps, Plot live GPS, Program GPS, Performance review. Review features let you see exactly where you’ve traveled, distance covered and speeds. You can even add your own notes, digital pictures or any other files directly to the maps. Finding your way becomes easier, safer and more fun! I use the desktop version for all my planning and a combination of Memory Maps and Pocket Earth Pro on the trail to ensure I always have all the information I need. Memory Maps turns your iPhone/iPad into a powerful Outdoor, Off-Road or Marine GPS. If you’re looking for Topo Maps, 4×4 Maps or Marine Charts for Australia or New Zealand to work offline on your iPhone or iPad, this is the place to start. 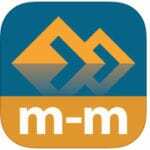 This app provides free access to 1:250,000 scale topographic maps for Australia, New Zealand and many other free maps around the world. 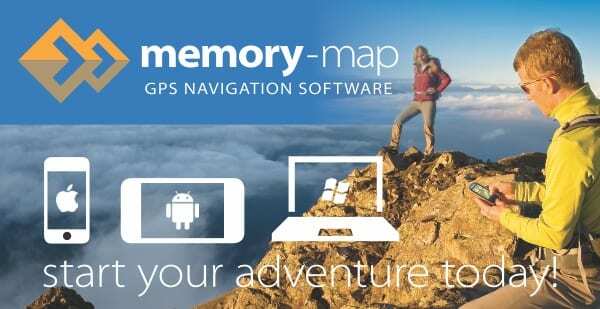 It is compatible with all maps published in the Memory-Map format and works with maps you may already have on your PC or downloaded from the Digital-Map-Shop (1000s of worldwide maps available for download and use on most PCs, Tablets and Phones) See the Memory-Map Aus/NZ web site for details. Once maps are loaded to your iPhone/iPad, cellular network coverage or internet connection is not required for real time GPS navigation. Although the app can be used standalone, it works in conjunction with the Free PC app where maps and GPS data can be shared with your home computer for planning, printing and 3D visualisation. Then upload everything to your iPhone/iPad and enjoy navigating outdoors with high quality maps. 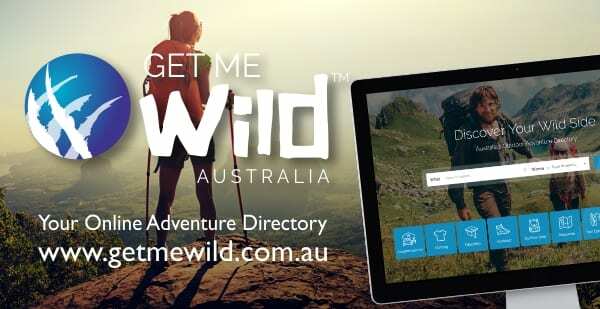 If you’re serious about your outdoor adventures, you’ll appreciate this no frills, full featured navigation app and the availability of high quality maps and charts. I have used this app a little on my hikes. I found that it displays the necessary data for navigating the trail as it used OpenStreetMap. It has some difficulty displaying maps when mobile coverage is not great as it does not have an offline mode. As the maps are being downloaded as you navigate it also places considerable strain on your battery. In my opinion is not a great tool for hiking anywhere where coverage is an issue. 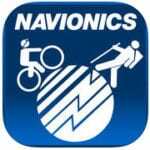 Navionics Hike & Bike app lets you record your outdoor activities. View your tracks on the map, review results, measure performance, share with friends! Beginners to experts will love the easy-to-use intuitive interface, specially designed by Navionics, a leading provider of location based products known throughout the world. Never lose focus on your activity with a full display of metrics in an easy to read console. Real-time stats will display your speed, distance, time, elevation and vertical so you can adjust your movement anytime. View your location on the map with either satellite or terrain overlay. Once your track is saved, view paths in playback mode with the fun interactive interface. Keep track of your performance over time as you save your trips to compare current to your bests and challenge yourself to improve. Plus, easily share your data with friends and family via Facebook, Twitter or Email. Tell us which apps you use for trail navigation and why? Use GPS and Maps for navigation. Ph is for taking Happy snaps and a emergency back up. I use maps.me and it hasn’t failed me yet. Although on longer trips I use paper maps and keep the phone for emergencies ? Paper map and compass. But phone can be a useful device to have a check against to confirm location. Plus can provide a useful distance walked check to confirm progress. Pocket Earth is quite brilliant, but I would also recommend to take a good look at Avenza Maps, which is particularly useful if you want to use Parks Victoria maps. I agree. Avenza is good but you have to pay for the topo maps for each park. Pocket Earth has a small charge with access to any trail, anywhere. I use the Australia Topo Maps app. You can cache maps for offline use and load gpx files and waypoints. You have to pay for the 25K Vicmap topos but I found it worth it. Free for NSW topos. I also build my own Topo maps in ArcGIS or QGIS and create maps for use in Avenza for free. I would say use a dedicated hiking GPS like the Garmin Etrex 30, have your file imported into an app like ride with GPS. Put your phone into flight mode to save the battery ( the GPS will still work) and maps.me works very well offline and shows your location. Also take a paper map. Get Lost maps provide free GeoTiff maps of Victoria that could be used for free in Avenza. Check their georeferencing before you go out however as sometimes it seems a bit off. I recently tried to use my trusty old app that allowed me to generate trail elevation profiles based on Google maps — no go, it does not work anymore. This prompted me to look for an alternative — the start of an exciting journey I must say. Since I last checked for online maps apps a couple of years ago the world has changed. There are now some very capable apps for online planning and tracks. These are not meant to be full tests, just notes on my first impressions. Only armchair testing so far, will take some on the trail next week. I am not interested in live tracking features so I haven’t checked these out (Uses too much battery and I don’t care how fast I was per minute etc. It’s enough for me to know at what time I’ve arrived in the evening and my average speed during the day). I’m also not interested in social network sharing so haven’t tested that either. Generally, for most apps: don’t rely on precise elevation indication – most apps show the elevation at a cursor position, but even if you place the crosshair exactly on a contour line, it can be off by tens of metres. I will post for each product separately so that comments that you may want to make can be targeted more directly. Hope the following is somewhat useful for some of you…. Avenza maps: Have used it for years and still do, basic but highly functional map viewer with location mapping. Excellent professional maps can be purchased for many areas, but you normally need to pay for each map. Very useful if you want to use Parks Victoria maps, which are free. 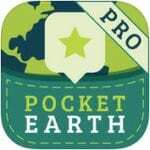 Pocket Earth: Have used it for year and still do. Likewise, basic but highly functional map viewer with location mapping. Pros: pay once, use everywhere (big advantage over Avenza), cheap ($7.99). The only app with a useful search function that I’ve seen. Cons: Maps are Open Street Maps only, which are pretty useful but not always ideal. For example, topographic information is not always available. Will possibly ditch this after I now have a few new alternatives (see flooding posts). Maps 3D: A bit of a niche product, and pretty fun. Various map types, including Thunderforest Topo maps world-wide. Can render all maps as relief which is fun and even useful, particular if you are discussing a route with kids! Very smooth route planning with elevation profiles and automatic trail matching; track recording and following. Nice clean design, easy to use. Cheap ($5.99). Worth the few dollars even just for fun. TopoMaps Plus by Clacierpeak: Pros: Different types of maps world-wide, including global topographic maps from Thunderforest and satellite imagery. Very comprehensive functionality including route planning beforehand with automatic matching to trails. Trail matching functionality is, however, inferior to some of the cheaper apps above. Elevation profiles. Printing paper maps for the route (to selected scale), tracking and track recording, mapping photos to maps (even past ones, love that! ), can synchronise between devices and desktop, can make trip suggestions. route editing is quite flexible but a bit tedious. Other apps are simpler to use. Apple Watch support (not tested, I don’t use one). Most expensive app that I’ve seen (I paid $46 for a 3 months subscription to Pro features). Also, among all the apps I looked at it had the most bugs/glitches. Nothing fatal, but annoying. For example, route displays not being updated correctly until after closing and reopening the route etc. – not sure whether it’s worth the purchase it at this price point. I can’t really see that it has an edge over the competition except for the photo matching and map printing. Let me know if you discover something that I’ve overlooked (printing maps to scale is pretty cool, though). View Ranger: Only discovered this today. Thunderforest maps, proprietary premium maps, satellite imagery and a range of free maps . Aims to be a social network as much as (or more than) a mapping app. Offers a library of route suggestions that can be searched by criteria (length, difficulty, rating, …). Track recording. Some unique and uber-cool features: augmented reality that labels peaks, waypoints, etc on your smartphone viewfinder image (haven’t had a chance to try that yet, no peaks in my living room); flyover features that generates a virtual flyover for a route from satellite imagery. Has a “Buddy Beacon” function that maps another user to the live trail (I guess that only works in phone coverage areas!) Syncs across devices. Probably not the right tool if you are basically looking for a “smart map” but maybe interesting as a trip library / social network. Premium subscription $15.99 year with a 7 day trial period. TopoMaps by Oliver Kulpakko: More Bugs than features, no standout features that set it apart from the competition. $5.99. Deleted it. Terra Map Pro: Looked interesting at first, but very slow and interface is tedious. Not a competition to the other ones above, especially not at $13.99. Also deleted this one. And to conclude just my $0.02 on app use on the trail. To be sure, you absolutely must carry a paper map and a compass as a backup. Obviously you must also make sure that you can navigate with these, even when there are no trails. In fact, ideally you make sure that you can navigate by map and sun without a compass. Having said that, why make your life harder than it has to be? In normal circumstances a smartphone enabled map is ideal. Quick, fast, convenient, and reduces the chance of error. Compass integrated. Not to mention the fact that you can automatically map happy snaps to locations and other goodies. Certainly much, much more convenient for trip planning at home. If you carry a modern phone (long battery life) and a foldable solar panel (you can get that down to 150 g these days) you are unlikely to run out of power in most Australian settings, even on extended trips. Sure, your phone may be damaged, but so may be your map (ever had a soaked map that split at the fold and that’s exactly what you needed to see?? Unlikely to happen to a phone). Same on the water: No serious sailor these days would navigate without a GPS. Sure, a circumnavigator needs to know how to navigate by map, almanac and sextant, but these are the backups, not the everyday tool! I agree that not carrying a compass and a map is just idiocy and a dangerous one at that. I guess it depends on what we mean by “primary” – I mean “the thing that I will use in normal situations on the trail”. If you by primary you mean “the safe option to fall back on if things go wrong” — that’s exactly the opposite. I would agree that under that interpretation primary has to be a paper map. 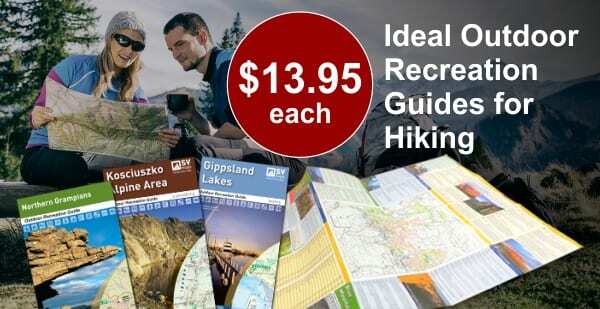 Darren I have just joined up, but cannot download your map for Olinda Falls and Valley circuit. Could you please advise which software is required? Thanks you! New to this website, thanks to all contributors: a great read. After having a good look through all this ive gone with all trails: for 90 bucks for three years it covers everything i need and the topo map layers are Fantastic, i can zoom right in without loss of quality. Avenza is probably my next pick, My Garmin fenix 5 watch also has a fantastic topo map feature which while limited in its functionality it got me out of trouble yesterday!